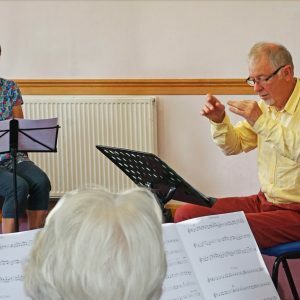 Associate Lecturer in music and teacher of recorder at Canterbury Christ Church University. 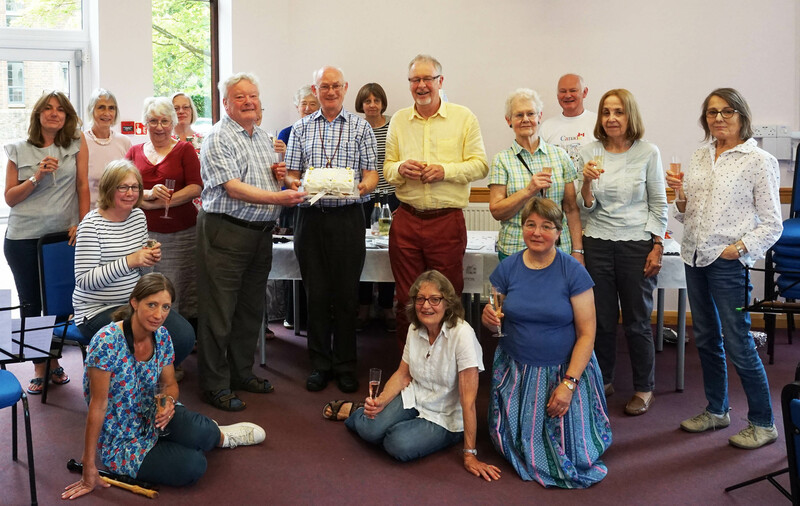 The Branch holds monthly meetings apart from August. 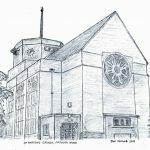 Details are shown in the programme. 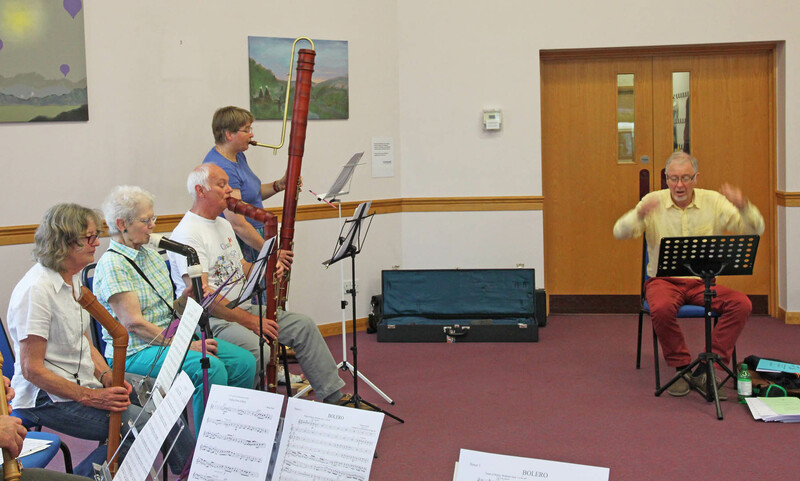 We welcome all players to join us as we explore a wide musical repertoire. 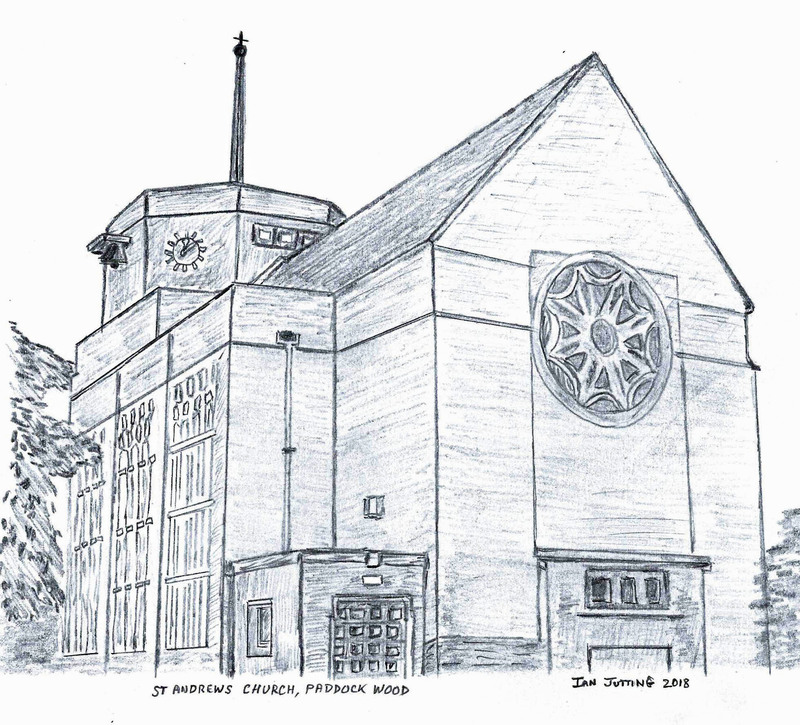 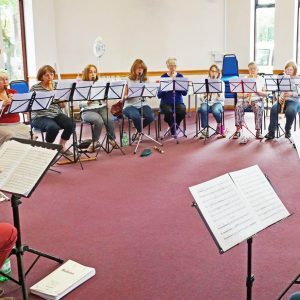 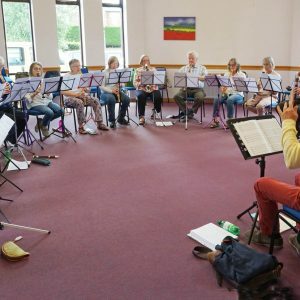 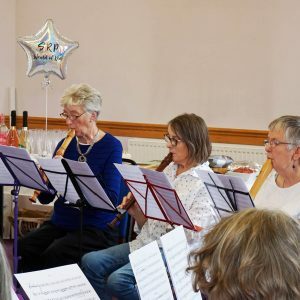 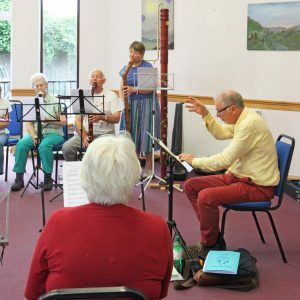 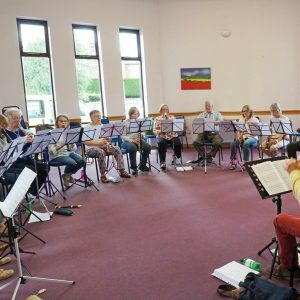 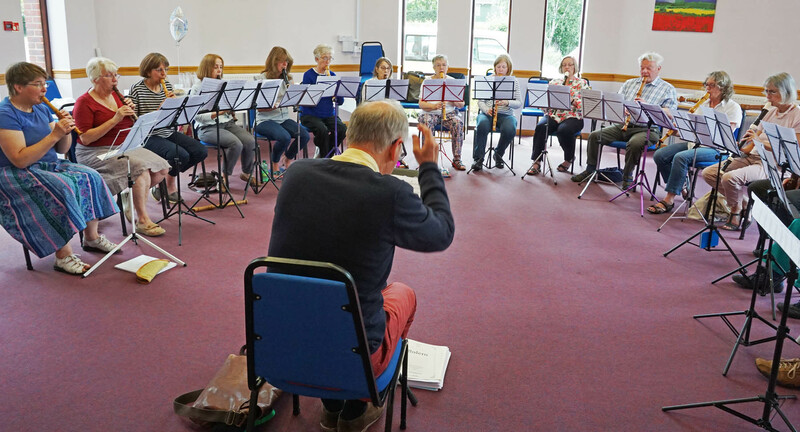 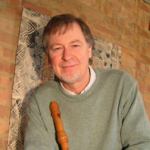 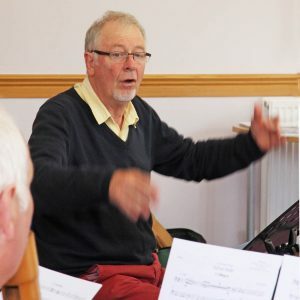 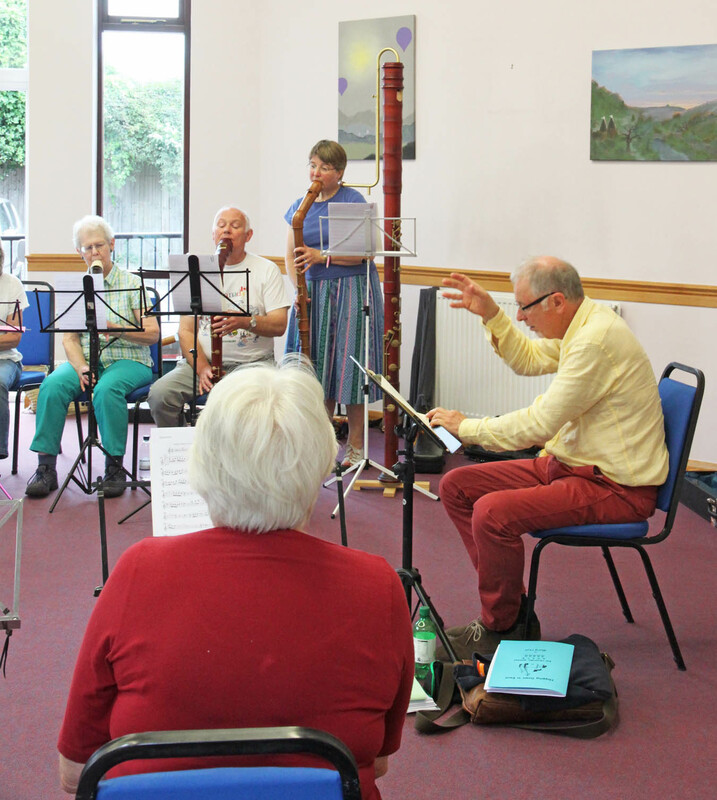 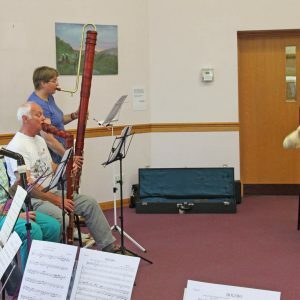 The group was formed in 1992 under the musical direction of Carol Dawson and was incorporated as a Branch of the Society of Recorder Players in April 1993. 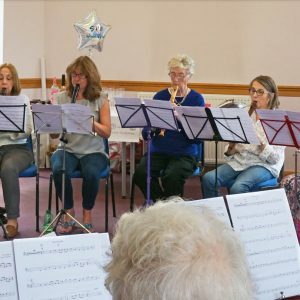 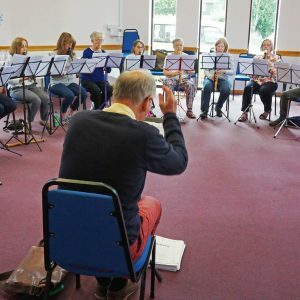 The branch held a 25th year Silver Celebration playing afternoon on 16th June 2018. 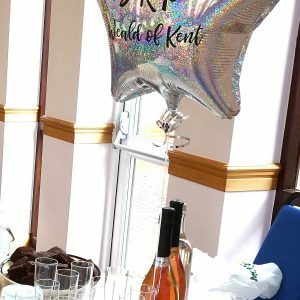 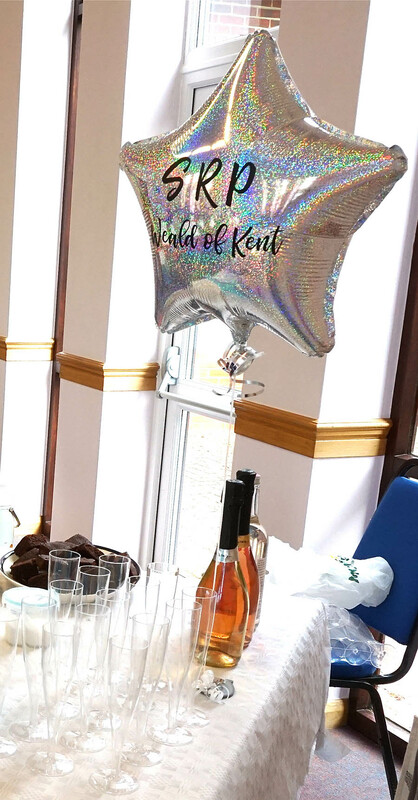 It was an enjoyable occasion. 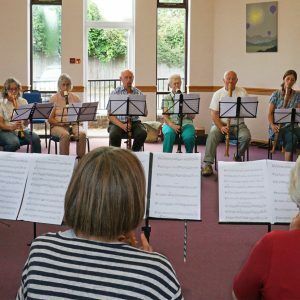 The Weald of Kent Branch was formed and incorporated as a branch of the Society of Recorder Players in 1993. 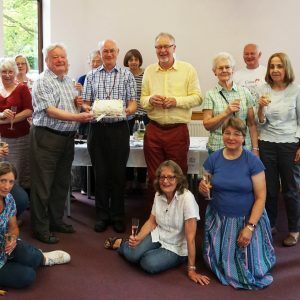 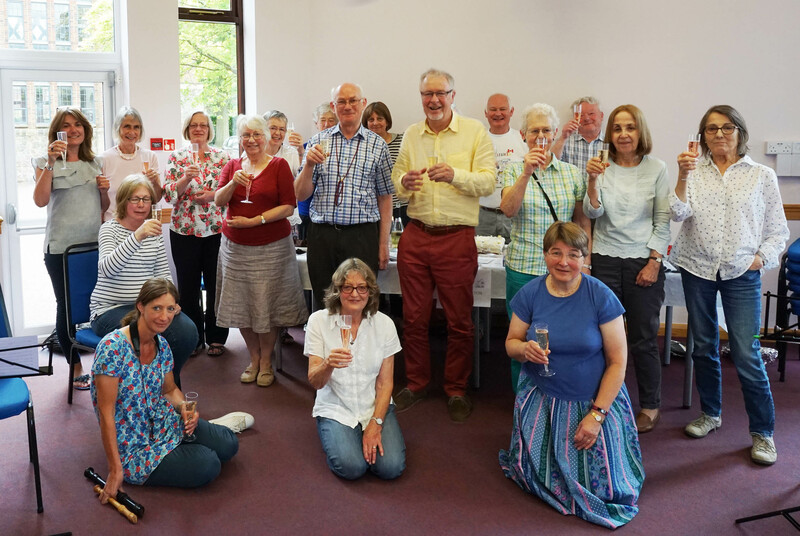 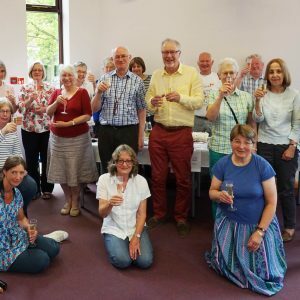 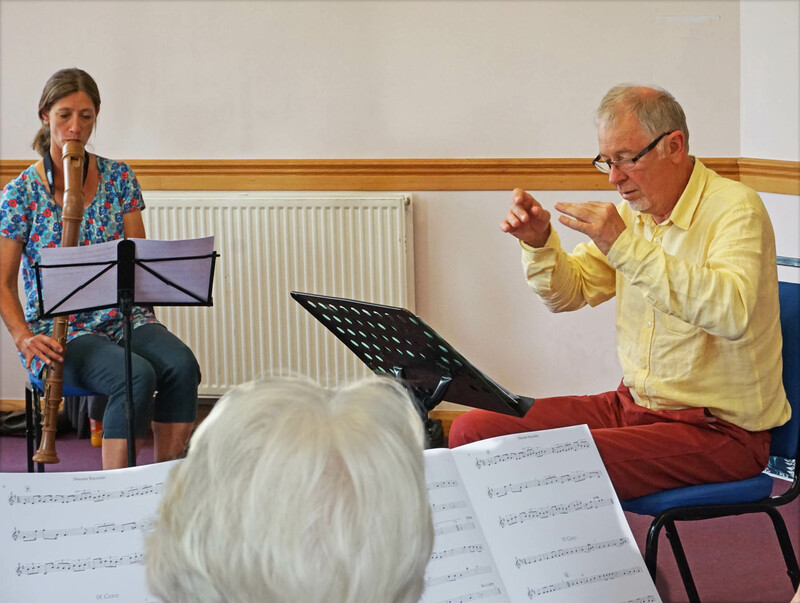 To celebrate 25 years of the branch, we held a Silver Celebration playing afternoon on 16th June at our usual venue, St Andrews Church, Paddock Wood. 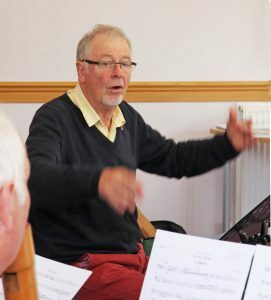 Dr Peter Bowman, our Musical Director conducted us for a range of celebratory music. 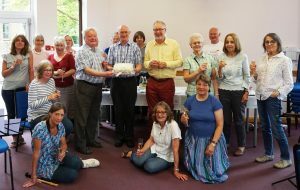 A special cake was made for the occasion by Susan Wilkinson and presented by Mike Wilkinson, former Branch and National Secretary. 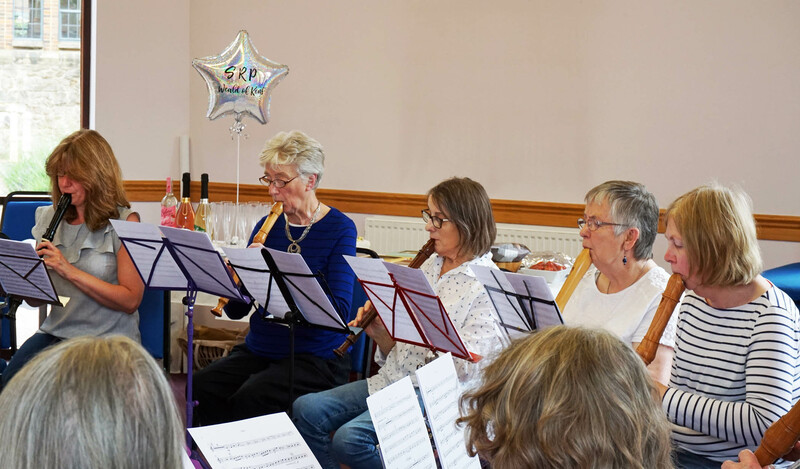 We enjoyed playing a Suite of Dances from “Handel’s Water Music”, “Silver Suite” by John Hawkes, “Bolero” by Maurice Ravel, arranged for recorders and a new work “Hopping Down in Kent” by Marg Hall. 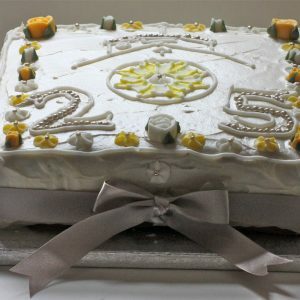 We toasted the achievements of the previous 25 years while looking forward to the next quarter century! 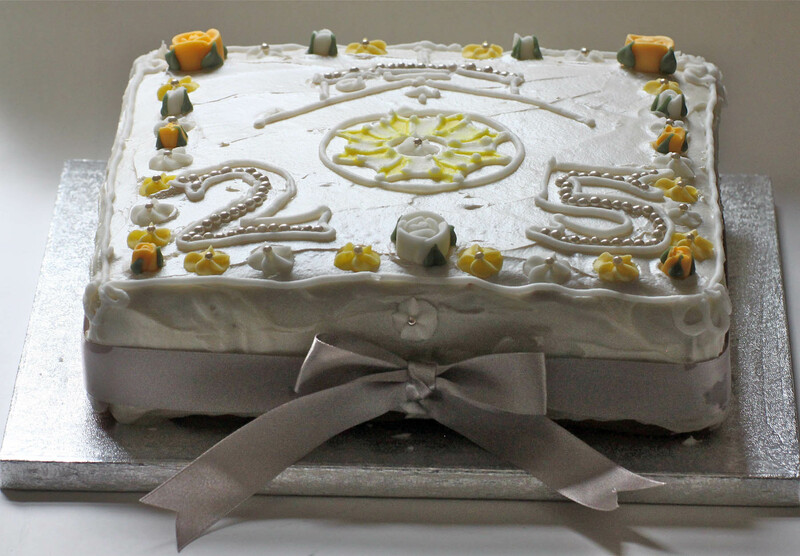 Submitted by Ian Jutting, WoK Branch Secretary and Margaret Spencer, Publicity Lead. Photographs courtesy of Susan Wilkinson.